Okay, I know I’m the naturalist and all, but I just found this creature in my bathroom and almost fell over. Spiders don’t bother me, wasps don’t bother me, zombies don’t bother me, but THIS thing is somewhere in the middle of all that AND IT BOTHERS ME. [These animals are incredible! 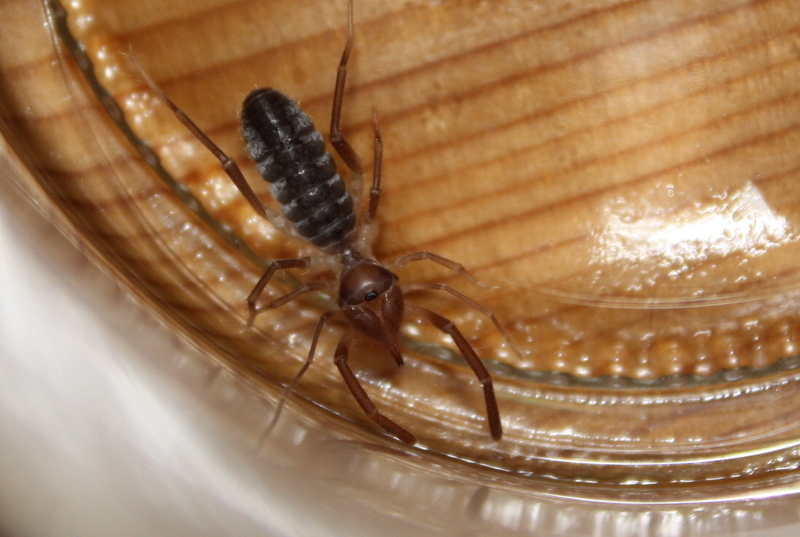 They are arachnids, like spiders, but belong to the order Solifugae (formerly Solpugida). They are commonly called sun spiders, camel spiders, wind scorpions or sun scorpions. However, they are neither spiders nor scorpions! There are many myths regarding the size and speed of these animals. They are quite fast for invertebrates but they tend to move in short bursts of speed and cannot sustain top speeds (roughly 10mph). There are only slightly more than 1000 species known, they are mainly nocturnal and most live in dry, arid desert or semi-desert environments, perhaps explaining why few people know of them. So there you have it. Still terrifying though. Check out Dan’s awesome site here!